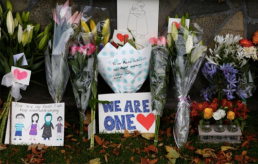 It has been a challenging time following the attacks in Christchurch over two weeks ago. This attack struck particularly close to home. Many of my friends and colleagues are Muslim. And of course, this attack was in one of our neighbouring countries, committed by an Australian. For the first time, I shared in the fear that many feel every day. This attack was close to all of us at ygap. Many of our global team and entrepreneurs we support, especially those in Bangladesh, follow the Muslim faith and this was an attack on those we love and respect. ygap believes in the power of entrepreneurship and the power of people. We are not a faith-based organisation and we respect and honour beliefs across many faiths. What happened in Christchurch was intended to incite fear and hatred. Yet what it has done is bring us together to be even stronger and to lead with courage. True leadership is about making courageous decisions and leading through fear. We see this every day through the work of our entrepreneurs: they fight harder in the face of challenges they face every single day. At ygap, we will continue to back our local leaders and work through their challenges with them. Thank you for continuing on this journey with us. yher Pacific 2019 - Applications Open! We began yher with the aim of creating a more feminine approach to accelerating social impact businesses and an equal platform. One that provides a welcoming space for women to come together, inspire each other, and most importantly address the unique challenges female entrepreneurs face. Globally less than 3% of VC funding goes to women led businesses. 94% of decision makers at VC firms are men. Of 131 corporate accelerator programs, 87% are run by men. Women do 2.6 times more unpaid care and domestic work than men. We aren’t just talking about these statistics, we are doing something about them. So far we’ve supported 63 female led social ventures across Africa, the Pacific and Bangladesh. In 2019, we are excited to be expanding our Bangladesh program to South Asia – and to introduce an improved support program including access to small grants, financial advice and mentorship, as well as exciting perks and support from our partners. 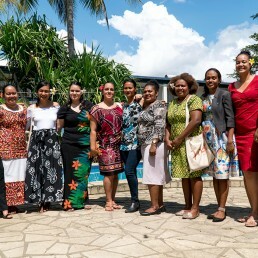 Right now, we are looking for the next cohort of 15 of the highest potential female entrepreneurs with a game-changing venture to participate in our yher Pacific Program. Our Vision is a world where male and female founders have an equal platform to launch and grow their social ventures. First Gens November Graduations and June Applications are Open! The First Gens Showcase event was held at the Immigration Museum earlier this month. It was a full house of support for these outstanding individuals who have come to the graduation moment of a challenging, transformative three month training program. We are offering an opportunity for the next group of ambitious, game-changing impact ventures led by migrants and refugees in Australia to participate in our third ygap First Gens Program. 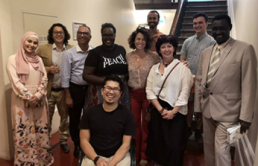 The First Gens initiative supports migrant and refugee led social impact ventures that are improving the lives of people living in disadvantage in Australia. 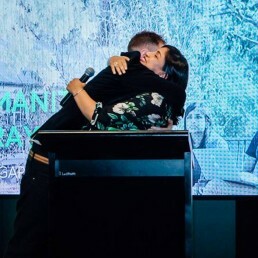 Successful applicants participate in an award-winning accelerator week, have access to a range of tailored support and have the opportunity to pitch for up to $25,000 in funding. Applications close on the 28th of April and the accelerator kicks off on the 10th of June. Last year over 15K people were a part of a powerful movement of men and women who polished up, stood up and said ‘no’ to violence against children. 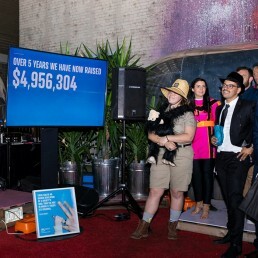 We’re so delighted to share with you the record-breaking success of the 2018 campaign that raised $1.7m. 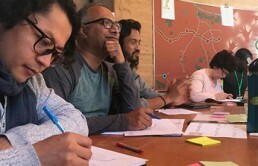 ygap are leading the development of a Gender Lens Incubation and Acceleration (GLIA) Toolkit as part of our partnership with Frontier Incubators, by working with over 45 global partners to understand best practices. We have developed over 80 highly practical and applicable strategies for intermediaries to apply across their organisation, program and ecosystem. We can’t wait to share this with you and, importantly, apply it formally to our work. It was with great honour that we were invited by Matthew Boyd, CEO and founder of Vollie, to speak at the Social Impact Forum Rotary Event on the topic of how we are leading the discussion of gender inequality and inequity in the social impact space. The point we emphasised was: if we really believe in creating deep and effective sustainable impact, then we must make gender equality a top priority. Issues and statistics around this can be confronting, but by not addressing these we will cause further harm, not only to individuals but social impact itself. We had the opportunity to speak at the Vic Forum Event, by Polaron, about how ygap has a deliberate approach to designing and delivering our program so it is understood by entrepreneurs from non-english speaking backgrounds. In Australia, we speak over 300 languages, practise over 100 religions and are the product of a unique blend of established traditions and new influences. Literacy in entrepreneurship is critical if entrepreneurs want to create effective change. This is particularly relevant in our work – we exist to support entrepreneurs, most who come from non-english speaking backgrounds. 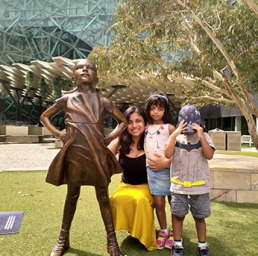 We were invited to speak at a Salesforce event on the theme of Equality, titled “Women Empowerers”, with Div Pillay from Mind Tribes, Kim Anderson from SheEO and Jon Yeo from Tedx Melbourne. We discussed the power of supporting not only female entrepreneurs, but being deliberate about all genders, addressing intersectionality and what we are all doing to create an equal platform for the most marginalised in our community. A big thanks to Salesforce for hosting an incredible panel and event. ygap Entrepreneurs Invited to the United Nations?! ygap has developed an exciting partnership with the Global Innovation Exchange (GIE), who are offering our social entrepreneurs the opportunity to attend a conference for the United Nations at their Science, Technology and Innovation (STI) forum in New York! All ygap entrepreneurs are automatically entered into the Call for Innovations, which asks for change agents worldwide to submit workable solutions addressing Sustainable Development Goals 4, 8, 10, 13, and 16. We are excited to provide another opportunity for international recognition to the ventures we support! The GIE partnership will allow our entrepreneurs to be connected to exciting events like the STI Forum, along with potential funders and donors looking to back innovative solutions to international development. ‘Harambee’ is Kenya’s official motto. In Swahili, it means “let’s all pull together” and is used to refer to moments where communities come together to accomplish something individuals couldn’t do alone. Just like ygap, ENDA is all about Harambee. ENDA was founded with a mission of bringing Kenyan athletic greatness to runners everywhere and fueling economic development in Kenya. Their mission seemed impossible until a community of family, friends, strangers and ygap came together to help raise the initial funds needed to get their venture going. Today, thanks to this support, they’re creating jobs, they’re giving portions of sales back to the community and they’re changing the way the world sees Kenya – by showcasing themselves as not only the experts at running, but also designing and manufacturing running shoes. Today they need your support to launch their new game changing shoe, the ENDA Lapatet. A $100 donation towards their Kickstarter will not only get you a pair of the sweet kicks, but also the pride of supporting this outstanding local Kenyan social impact venture. What are we excited about? Announcing a brand new fundraising campaign! The official launch of the GLIA – ready to transform the way we manage the topic of gender in the workplace! Ps. On a Personal Note…. 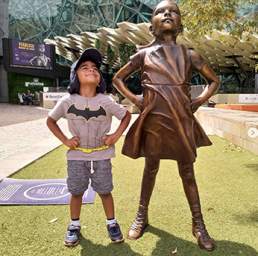 I am first to admit that I was one of those people REALLY excited when I knew #FEARLESSGIRL was coming to Melbourne. For me, she represents who I strived to be my whole life (sometimes I succeeded, sometimes I failed) and who I continue to strive to be today. My kids were probably bored to death of me ranting about what she symbolised, but my son got the pose down pat! It’s been a busy and exciting end of year period for the team, both locally and globally. We had an incredibly successful Polished Man Campaign here in Australia, our first Kenyan Growth Hack, the yher accelerator in South Africa, the ygap Australian First Gens accelerator, the seed funding pitch nights, the Annual Impact Tour and much more! Earlier this month, we were also invited by the Department of Foreign Affairs and Trade (DFAT) to go to Singapore to lead in-depth sessions around gender and power in the social entrepreneurship space during the Frontier Incubators workshop. Aaron Tait and I delved into the issues around power, privilege and bias and how these work to either oppress or advantage different gendered groups. 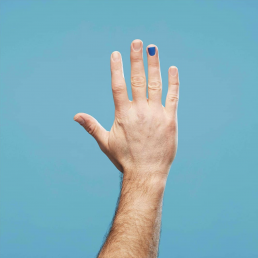 ygap’s Polished Man campaign encourages men (and women) to take a stand and actively commit to ending violence against children by painting one nail for the month of October. By representing this harrowing statistic, they raise a conversation as well as awareness and funds to ensure no child suffers from violence. We believe in a world where no child suffers from violence. Because it shouldn’t hurt to be a child, and we all have the power to change this. But the reality right now is very different. One child dies every five minutes as a result of violence. That’s one too many. “When we talk about impacting a life, we mean creating a job for a mother so she can feed her family. We mean giving a child an education so they have a chance to fulfil their dreams. We mean improving not only their life but their entire community’s future. Each one of the 586,389 lives that our nearly 400 entrepreneurs have impacted means entire communities have been transformed – the impact goes beyond what we can measure. We created our model based on empowering local leaders, as they understand the problem better than we ever could. That is why we are so effective and impactful. At ygap, we always tend to think about how can we do better and what’s next, however, sometimes it’s essential to take a moment, to pause and reflect on the incredible impact your support has created. To date, thanks to your support, we have backed 397 impact ventures, through 35 social accelerator programs, which have significantly improved the lives of 586,389 people! 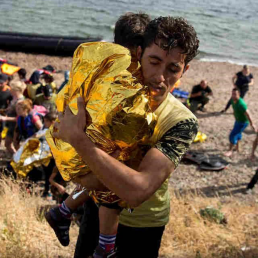 In 2015, when a photograph surfaced of three year old Alan Kurdi washed up on a Turkish shore, it sent shockwaves through our country. This was not a black and white image from a time that did not belong to us. It was a crystal clear image of a child dressed just like any child we might pass laughing in the street and it cast the plight of the refugee crisis into broad daylight. We could no longer turn a blind eye. That was, until the next day when this confronting image slipped straight back into the forgotten archives of our memory. As we pause to observe World Refugee Day 2016, we face a global crisis with the greatest displacement of people since WW2. These events will be written into the history books of generations to come and yet we continue to ignore, worse, criticise the millions of people begging for our aid right now. The negative attitudes that are prolific throughout Australia were further highlighted to me a few weeks ago whilst working in my local cafe. I was completely disturbed by a comment made by an elderly gentleman as he scanned through the newspaper whilst waiting for his coffee. Shaking his head, he murmured “ahh these bloody refugees”. To say I was shocked is an understatement. Have we become that desensitised to refugees that we have lost our perspective of what these numbers represent? When we see figures of hundreds of thousands, millions of people forced to flee their country, has our ability to sympathise become so tainted that we no longer comprehend these numbers as humans just like ourselves? It would be ignorant for me presume this man may not have his own reasons that have built up over time resulting in a resistance to foreign entities. Perhaps he has lived through wars that impacted him in a way I can only imagine. However it is these negative stigmas associated with refugees that need to be broken down, and soon. March 15 marked five years of war in Syria. Since 2011, over four million people have fled Syria, more than half of those children. The conflict has resulted in the deaths of up to 470,000 human beings just like you and I. As Filippo Grandi UNHCR High Commissioner states “Syria is the biggest humanitarian and refugee crisis of our time, a continuing cause of suffering for millions which should be garnering a groundswell of support around the world”. These refugees are the definition of desperation. Try to imagine travelling across the waters of the Aegean Sea, piled into a rubber boat with 50 other people. A boat with a safety capacity of 15. Sandwiched on top of one another, young, unaccompanied children surround you and the air temperature plummets to freezing with no land in sight. What dire circumstances must these people be fleeing for this to be their best option? Let’s not forget these journeys of life or death to new countries follow loss of belongings, homes and family members. These people have essentially been stripped of their identity to date. This is just one picture of the millions of unimaginable circumstances people are being faced with. If it takes is a confronting A4 photograph sprawled across the front of the newspaper to humanise these numbers, then that is what we should be doing every day. Because there are over four million of those photographs waiting to be taken and more importantly, stories to be told. Let’s learn from the injustices that have come before us and refuse complacency at the very time we have the greatest responsibility to act. I have faith that older gentleman in my café can shed the negative stigma he holds and one day, when he hears the word refugees and sees those numbers, remember they are human beings with the same human rights as himself. To stand in a room full of strangers and be completely transparent about your life – where you have come from and where you are heading, is no easy feat. At YGAP’s latest community meeting guest speaker Karl Lokko opened his heart to close on 100 people, providing a glimpse of a life most will never know, and it was awe inspiring. A former gang leader from London, who admits he was“running to a dead end”, Karl lived a life consumed by drugs and crime. He was the embodiment of our global systemic failings – dismissing and pleading ignorant to minority groups so clearly crying out for help. Karl opened with a poem and with every rhythmic sentence that followed, the room was transfixed. Karl’s earnest description of his decision to become a gang member in order to protect himself and his family sounded so pragmatic. From a young age he distinguished that his unblemished report card would not stop kids in gangs from harassing both he and his family so “if you can’t beat them, join them”. With this decision came years of pain and trauma, dealing drugs, being shot at more times than he had birthdays, being stabbed in the back and watching his best friend die from a bullet on the pavement next to him. It was a life too heavy for anyone to deal with, let alone a child. Karl admitted he knew his actions were diminishing his future but that he had reached a stage so far gone, he was unable to care – “living life like a gamble, my life a casino”. This is where pastor Memi entered the story – a woman with whom Karl credits a large part of his reformation out of the gang world. The mother of his right hand man, Memi played a pivotal role in coercing six members of the gang to leave, reminding them “life – it aint got no reset button”. She was able to see past society’s label of them as “worthless criminals”, rather acknowledging they were simple children that had taken a wrong turn and with some guidance and love, could be redirected. You could say Pastor Memi indirectly led Karl to where he stands today as a, activist and social influencer. He speaks so earnestly of the power of love and support, “that talking is growth and growth is healing” and to never underestimate what compassion can do for a fellow human being. He condemns the notion that we are defined by what we do, instead recognising that people can make bad decisions or be dealt a bad hand, but that this should not define their status as a human being. 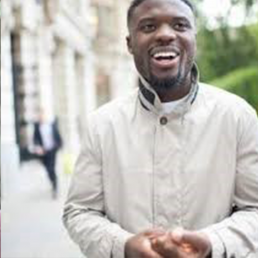 Rather than respond reactively to problems we are faced with in society, Karl aspires to channel the approach of Pastor Memi – changing attitudes and offering support. Short-term answers don’t yield long-term sustainability. Throwing money at a social problem won’t eradicate that issue. In his own words, “there’s youth running round like there’s no jail”, so incarcerating a misguided teenager won’t necessarily deter others or break the cycle of offending. Karl is a shining example of someone who has seen both sides of the spectrum and chose the path less travelled, dedicating his future to helping others see the light of hope in darkness. A huge thank you to Jane Tewson and the team at Igniting Change for bringing Karl into our lives. An unforgettable experience. There are days created specifically to celebrate people that have been fundamental pillars in our lives. Today we stop to acknowledge mothers globally carrying out what is arguably the most important and challenging job in the world. Whether its shaping our future leaders or simply teaching children how to tie their shoelace, mums are on the front line, handing this world over from one generation to the next. So, this Mother’s Day I challenge you to imagine a world where your mother’s life was lost in the process of bringing you into the world. A world where due to something that could have been avoided, your life was lost and with it, her chance to love a child. A world where if you both survived, she was denied the basic support she needs to grow you into the best version of you she possibly can. Every day, at least 20 women in rural Kenya die during childbirth. Lack of access to medical facilities and timely maternal health information are the key reasons for this tragedy. Their ability to mother and love a child is defined by their socio economic status and geolocation. When I think about Mother’s Day I think about arguments with my siblings – what tea towel to buy, what photo we should have framed or trying to remember what flowers mum doesn’t hate. The squabbles over who would be tasked with making mum breakfast in bed, when looking back, she probably would have rather eaten at the table. Now, a few years older and I can look back on my childhood through an objective lens. I would tell my younger self to stop focusing on these trivial notions and appreciate the woman standing in front of you. This Mother’s Day, I challenge you to think of all the times she made sacrifices for you or lost sleep worrying about you. I also challenge you to think about what pending motherhood might look like for a woman in rural Kenya. She will make those same sacrifices, have the same worries, but she also might die bringing her child into the world or be robbed of the chance to love a child who doesn’t make it out alive. Now let me tell you about a group of Kenyans who did something incredible for mothers (and fathers) in Kenya. A group of local leaders with a solution to a local problem. 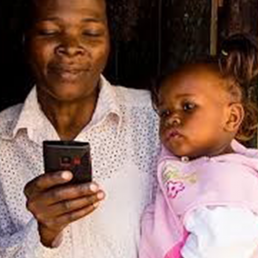 With YGAP’s support they developed Totohealth, an SMS and voice technology reducing maternal and child mortality while also detecting developmental abnormalities in early stages of pregnancy and a child’s life. Totohealth enables parents to receive targeted, personalised messages linked to their stage of pregnancy or child’s age, highlighting warning signs in their health or development and providing access to timely care if required. With 21,126 parents currently registered across 6 counties, Totohealth’s reach has been instrumental in providing these women with a hopeful future as mothers. It is a privilege women in developed nations are blessed with and Totohealth’s goal to provide every mother an opportunity to safely bring another human life into the world inspires us every day. This mother’s day I’m going to tell my mum I love her and thank her. 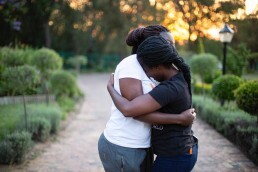 My challenge to you is to do the same – on behalf of the children who don’t get that chance and the mothers who will never hear it from a child they lost. Today the most impactful experience for me was definitely our meeting with Shile Thsalabala. Shile is a wonderful person who really opened my eyes to the fact it does not matter what mistakes one has made in the past, everyone still has the right to not only change themselves, but to change the environment around them for the better; by changing one’s mindset. Sihle lives in and works to improve his township, Langa. 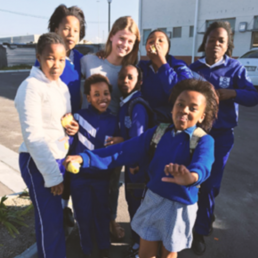 We visited Langa and the digital educational enterprise Sihle runs. Everyone within the group was impressed and astonished by the professionalism and quality of work that he does. Sihle toured us around the old school and very proudly showed off the classrooms and equipment that he has installed into his coding school. It was so heart-warming and truly inspiring to hear his story and to be told that it was whilst serving time in prison for eleven years, Sihle realised that a change in lifestyle and decision-making was vital. The fact that he could move away from a life of crime and give back to the community was so profound. Whilst serving time in prison Sihle did more than change his attitude, he started the world’s first not-for- profit behind bars. Beginning the day meeting Paul Talliard was the perfect way to put everyone in a good mood. Paul is an amazing man who runs an enterprise consisting of a furniture building team made up of ex-addicts or as Paul so succinctly puts it “people trying to get a fair second chance at life”. Paul also owns a recycling business a few minutes away. Both fitting and reselling old appliances is a method Paul uses to prevent these workers from taking the wrong path by staying in a sturdy job. The thing that struck me about Paul was the way he showed his workers that he cared. He was firm when talking to them to maintain authority however he would say to a passing man, “Hey Jimmy when you gonna come in and turn your life around?” and this showed he truly did care about people changing their ways and becoming better people. He would also speak highly of other workers in front of them. When Paul was asked where he draws the line and has to ask people to leave he said that there is no line and that he will always give people a second chance if they are willing to change. This is something that not many people would honestly be able to say. Next was lunch with Janine. It was so inspiring to see how she could pick herself up and come back fighting even stronger after the painful process of being forced to liquidate her company. While she was walking us through the factory it was heart-warming to see she had done everything by the book and all of the workers spoken to described working at Ukama as being a part of a big family. An experience of today that will always resonate with me was the visit to the crèche. Although the never-ending affection and songs from the adorable three, four and five-year olds was oh, so gorgeous, it was the principal who was truly inspiring. Finding out that she had given away all of her furniture in order to turn her house into a creche was absolutely astounding. Liz was a truly unique person to encounter and could only be described as an angel. The power of generosity and forgiveness were very valuable lessons today. Today began with a trip to Robben Island. Thinking about such vile and horrendous acts such as apartheid happening so recently in the past is sickening, however it was important to learn more about it and be aware of the events. Seeing Nelson Mandela’s cell where he was held for eighteen years was extremely eerie and dark. The stories of Mandela’s motivation, optimism and positivity was a great way to represent all the motivating, stunning and intriguing people we had met over the previous four days. Our visit to the primary school in the Philippi township was extremely uplifting and a breath of fresh air in a way. Walking into a room filled with bright-faced kids who were just so happy and pure was a truly joyous moment. This is an after-school preprogram devised by Bulelani Futshane. After a lot of dancing and singing about the importance of recycling, everyone’s spirits were significantly lifted. Never have I come across such a vibrant, energetic and loving person in my life. Lebo Bogapane is a wonderful woman who has endured so much heartache and devastation in her life, yet finds the love within her to devote her time, money and skills to help children who have endured the worst situations possible. Lebo energetically runs a centre that supports and hosts children and teenagers who have been victims of physical, sexual, emotional and financial abuse. Upon arrival, we were greeted with smiling faces and gorgeous songs. After being taken around the centre and shown all the facilities, we gathered together for a ceremony. The kids showed us how much they knew about abuse and how open they were to speak about the issues surrounding the topic. It was jaw-dropping to listen to these brilliant kids who had been victims themselves, talk so matter-of- factly about such a sensitive topic, explaining to us how if one were abused there are steps one must follow to report someone and fix the situation. A group of boys and girls performed a magnificent song and dance for us. Passion and pride were presented during the dance and the kids had such impressive, mesmerising voices. Lebo is a person who will always stick in my memory for being so heartfelt and genuine when talking about her work. She demonstrated that she isn’t in it for the praise or money, but the fact that she genuinely wants to make a difference in these young people’s lives. The energy that she brings forth is so empowering and inspirational. A truly remarkable experience today was seeing how far our support goes and further reminded me why we are doing this. 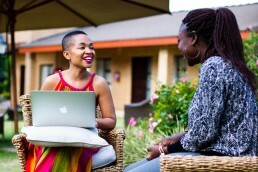 Noni Masina founded The African School for Excellence and my goodness does it live up to its name. Each student, or should I say scholar as the kids referred to it, utterly blew everyone away with the way they presented themselves, their social awareness and vocabulary. We were shown around the impressively large school and its many classrooms and facilities. 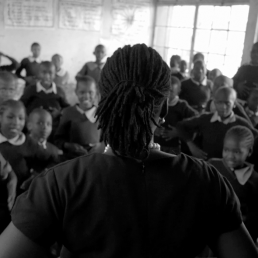 With each classroom I visited, I was further comforted that our contribution was being stretched as far as possible. Every room was filled with talented teachers, engaged kids and appropriate learning tools to match. The spark and fire in the kids’ eyes, along with the goals of becoming lawyers, doctors and scientists, really proved their determination for a quality education. Today we were privileged enough to listen to the pitches of eight female impact entrepreneurs starting or developing their own small businesses through the SHE by Spark program. It was really inspiring to see the thorough planning that each of these women went through to pitch their ideas to us. A personal favourite of mine was a lady who uses natural indigenous African materials to create sanitary napkins. This business not only supplies sanitary products to girls who would have in other circumstances not had access, but also creates jobs and income for the women in the community. All of the women’s businesses had great impact on the community from education to beauty products. Hearing from such bold and inspiring ladies was a great way to end the trip.